On Thursday, MS Dhoni achieved another milestone in his IPL career by becoming the first ever Indian captain to register 100 wins in a tournament. With 58 runs in 43 balls, he led Chennai Super Kings to another victory against Rajasthan Royals by four wickets. Currently, CSK is at number 1 of the IPL points table with 12 points. It was no less than a spectacular match with some edge of the seat moments which also includes the most talked about no ball controversy in the final over of the match. When CSK’s innings started, they didn’t have the greatest start as both the openers Shane Watson and Faf Du Plessis were dismissed early in just a span of 3 overs. Suresh Raina was too dismissed at crucial moment with just 4 runs, but then the actual show down began by Ambati Rayadu and MS Dhoni. Rayadu scored 57 runs off 47 balls and Dhoni scored 58 runs off 43 balls. In the last over, after the controversial no ball episode, Mitchell Santner hit a monstrous six at the last ball when CSK needed 3 runs. In total, Dhoni has played 182 IPL matches and scored 4230 runs with an average of 41.47. 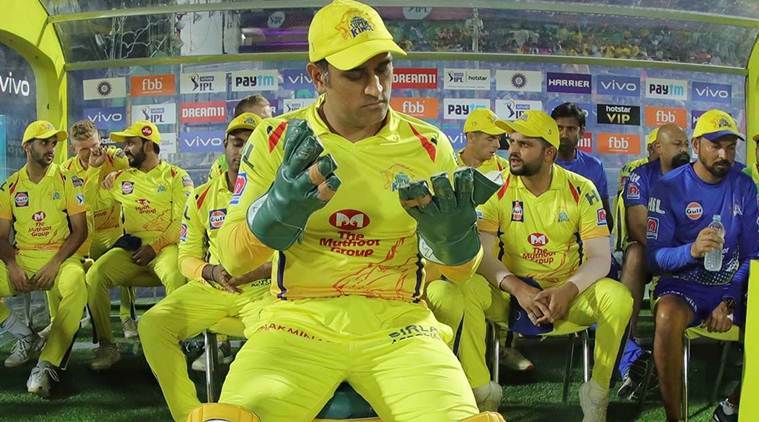 So far, Dhoni has been in his top form in IPL 2019 and this wicketkeeper-batsman has collected 214 runs from the 7 matches that CSK has played so far. After Dhoni, Gautam Gambhir is second in the list of most wins as a captain. Gambhir is short of 29 wins to complete his 100 wins. Along with Dhoni, Ravindra Jadeja from CSK also achieved a milestone, by entering the 100 wickets club in his 161st match in the Twenty20 league.